Highly effective deodorant and odour absorber with a pleasant fruity fragrance. 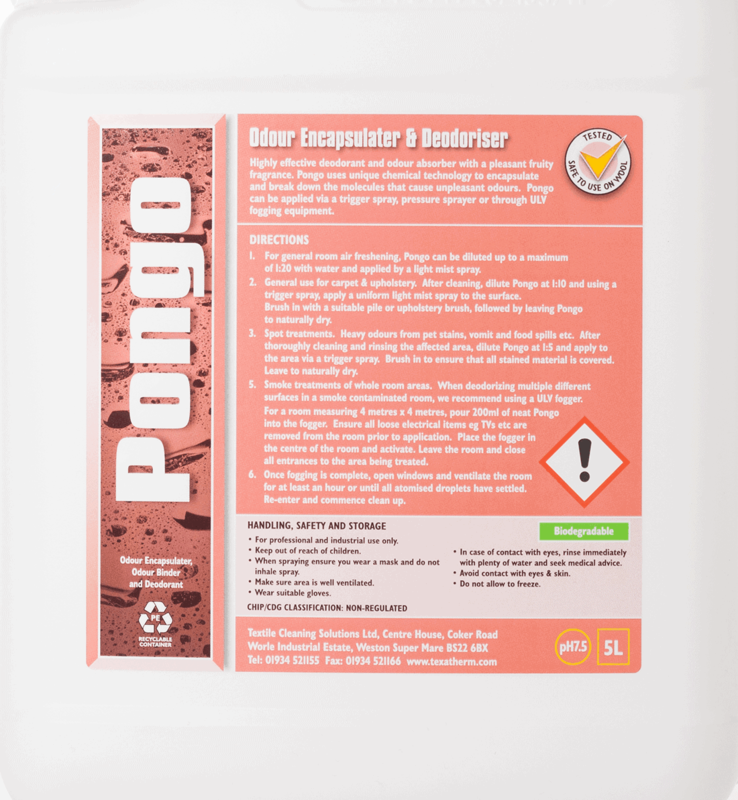 Pongo uses unique chemical technology to encapsulate and break down the molecules that cause unpleasant odours. Highly effective deodorant and odour absorber. Encapsulates and breaks down the molecules that cause unpleasant odours. Highly effective deodorant and odour absorber with a pleasant fruity fragrance. Pongo uses unique chemical technology to encapsulate and break down the molecules that cause unpleasant odours. 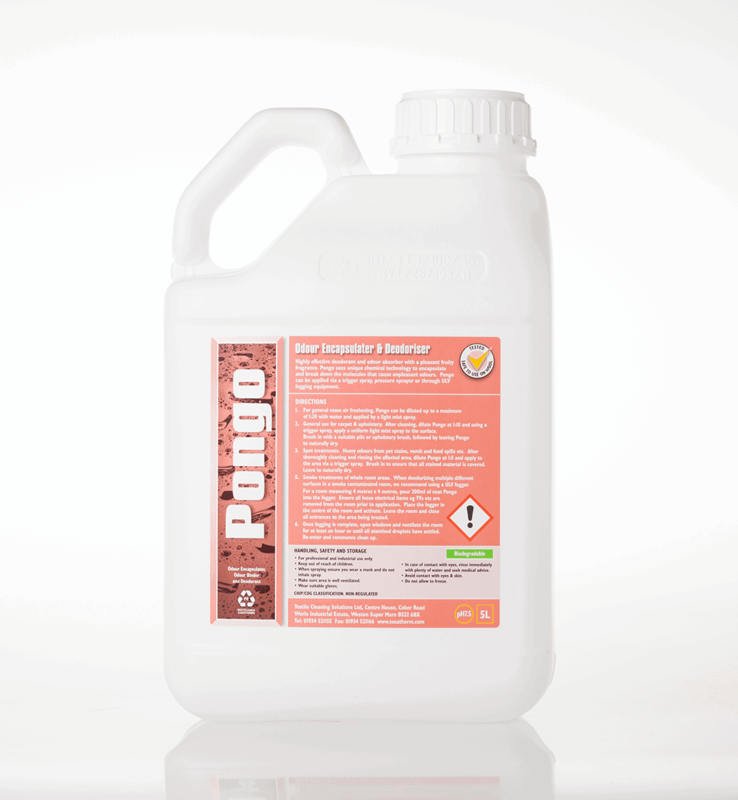 Pongo can be applied via a trigger spray, pressure sprayer or through ULV fogging equipment.